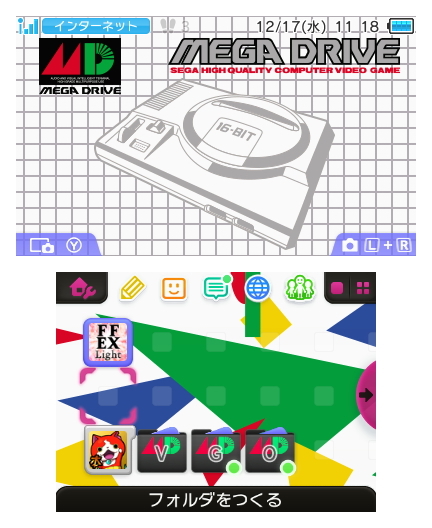 This theme starts focused on the Mega Drive, but if you scroll over, it changes to the Mega CD! 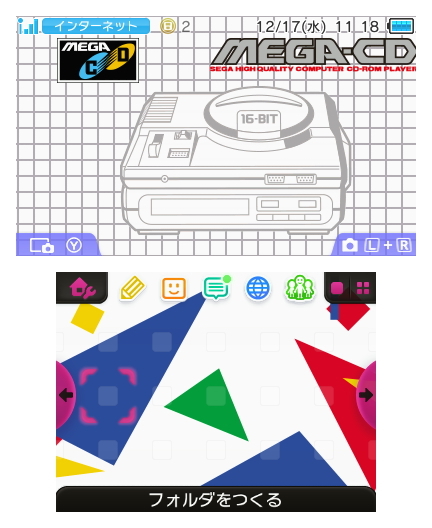 Oh and the best part of the Mega Drive theme? 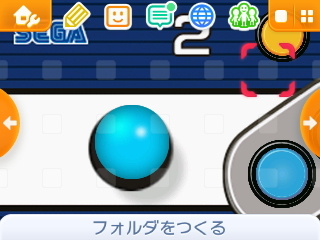 Anytime you select an icon, the classic Mega Drive “Seeeeegaaaaa” voice clip plays! Awesome stuff. 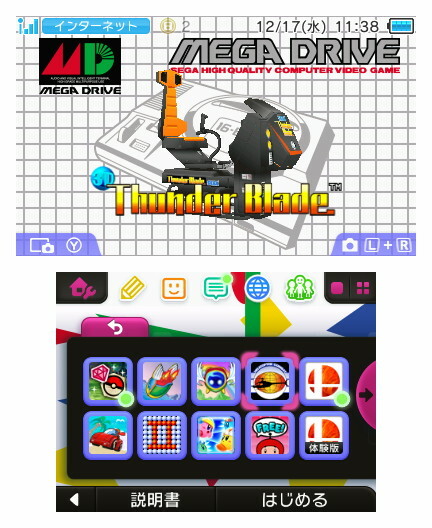 Fingers crossed for a Sega Genesis theme here in the west! 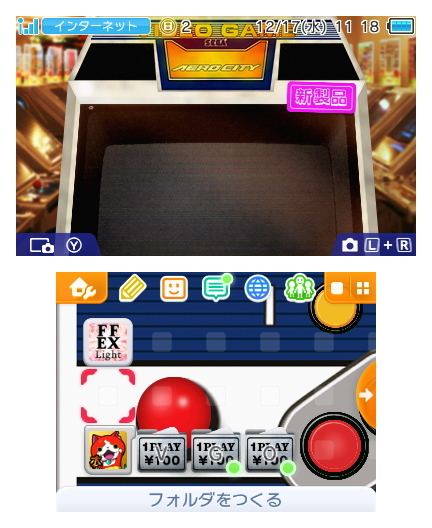 This entry was posted in Thoughts and tagged 3DS, Arcade, eshop, Japanese, Mega Drive, Nintendo, Sega, Sega 3D Classics, themes by ryan. Bookmark the permalink.